Alicia Cruz never had a quinceaneras, the traditional cultural ceremony that many Latinas participate in to celebrate their daughter's becoming fifteen, and therefore, becoming a woman. Alicia instead chooses to go on a trip with one of her best friends. As quinceaneras, or quince, season gets underway, Alicia starts to realize all she's missed so when the opportunity to participate vicariously in a quince, by planning one, arises Alicia jumps on it. She decides to bring her buddies; Gaz the hottie musician, Jamie the designer, and Carmen the cool-setter along for the ride. With all of their talents, and Alicia's talent for business, there's no way Sarita can have anything less than the fiercest quince in all of South Miami. 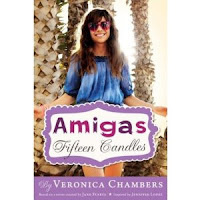 As Amigas, Incorportated, Alicia's new business, gets underway, she's determined to keep things running smoothly and decides to combine her internship with her quince planning. The internship at City Hall is a major coup and will look fantastic on her Harvard application in two years. She's working in the Office of Film and Cultural Affairs and learning more and more about the city as well as being able to make sure she has the space she needs for Sarita's quince. As the Amigas get closer to the quince date, Alicia finds it's way more work than she anticipated and she's starting to get overwhelmed. Also, working with Gaz has uncovered deeper feelings for him than she's ready to admit. What if he just wants to be friends? But that's the least of her worries as things start to fall apart on both the internship and Amigas, Inc. side. The writing in Amigas: Fifteen Candles was at times, contradictory. We'd see Alicia full of self-confidence on one page; "Alicia stopped just short of high-fiving herself..." and feeling like a loser two pages later, "...she was feeling like a big, giant loser." Alicia would diss a chica for name-dropping during her quince vows but name-drop herself every time she mentioned getting something "slighty worn" from her mother. Throughout the book we aren't sure of Gaz's feelings for Alicia and then he drops a huge bomb at Sarita's quince. This was very out of character for him as he seemed reserved throughout the book. I liked Alicia's parents as they seemed to struggle between giving their daughter everything and encouraging her to earn her way. They wanted what was best for her and wanted her to appreciate what she had. Alicia's friends were interesting and I hope they each star in the successive Amiga books. We were given just enough background information about each to want to learn more. I would especially like to see more of Jamie, the transplant from Brooklyn. She's fiesty and I'm hoping she stays that way. 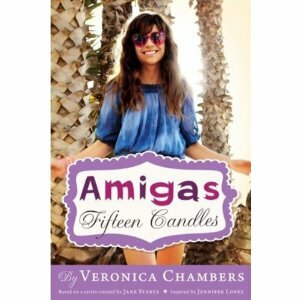 Amigas: Fifteen Candles is a decent start to a middle grade series. 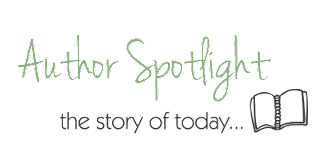 It will give readers some insight into Latino culture as well as encourage them to follow their hearts. It would be a good read for students in beginning Spanish too, as there are Spanish phrases sprinkled throughout. I give this 3 copies until I see how student's react. I'll be sure to booktalk it to 6th graders and give it some publicity. It would pair well with Nice and Mean by Jessica Leader as well as the Aristobrats by Jennifer Solow. 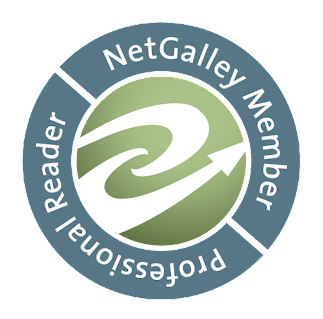 Thanks to Hyperion for the opportunity to read this. I just attended a friend's quinceanera for her daughter. It was beautiful with the choreographed dances and the change of flats for heels. Did you know this ceremony has it's origins in French culture and it came to Mexico via Napoleon little visit? i read the book and i love it <3 it's an awesome book and i'm Hispanic to and i want to go to a country in stead of having a quince! loved the book i don't like to read but the book inspired me allot! I read the book but now I'm doing a short movie about it and know I don't know what to do and the book was o k .